Pursuing operational excellence and focused on achieving top-quartile operating metrics. Approximately 500,000 square feet of global manufacturing capabilities and more than 40 manufacturing and assembly lines. We meet general certifications and standards. Frost & Sullivan award winners for product quality, growth leadership and customer value leadership. SMTC is a mid-size provider of end-to-end electronics manufacturing services (EMS). Frost & Sullivan award recipients in 2012, 2013, and 2016. With SMTC Corporation was founded in 1985. 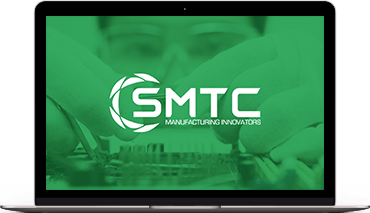 SMTC is a mid-size provider of end-to-end electronics manufacturing services (EMS) including PCBA production, systems integration and comprehensive testing services, enclosure fabrication, as well as product design, sustaining engineering and supply chain management services. SMTC has facilities in the United States, Mexico, and China. Services extend over the entire electronic product life cycle from the development and introduction of new products through to the growth, maturity and end-of-life phases. SMTC is traded publicly on the Nasdaq under the symbol SMTX. Click here for more information about SMTC Corporation. The material on this website includes statements about expected future events and financial results that are forward-looking in nature and subject to risks and uncertainties. The company cautions that actual performance will be affected by a number of factors, many of which are beyond the company's control, and that future events and results may vary substantially from what the company currently foresees. Discussion of the various factors that may affect future results is contained in the company's various SEC filings, including its annual report on Form 10-K, Form 10-Q and on subsequent reports on Form 8-K. Except as required by law, we do not intend to update this information. Transcripts are posted on SMTC Corporation’s website for the reader’s convenience and prepared by third parties. Readers should refer to the audio replays, when available, on this site for clarification and accuracy.